The brethren immediately sent Paul and Silas away by night to Berea, and when they arrived, they went into the synagogue of the Jews. Now these were more noble-minded than those in Thessalonica, for they received the word with great eagerness, examining the Scriptures daily to see whether these things were so. Therefore many of them believed, along with a number of prominent Greek women and men. But when the Jews of Thessalonica found out that the word of God had been proclaimed by Paul in Berea also, they came there as well, agitating and stirring up the crowds. Then immediately the brethren sent Paul out to go as far as the sea; and Silas and Timothy remained there. Now those who escorted Paul brought him as far as Athens; and receiving a command for Silas and Timothy to come to him as soon as possible, they left. In verse 13 of Acts 17 we see that the jealousy (emph. mine) of the Jews in Thessalonica continued to boil over into trying to destroy the work of God in Berea also. 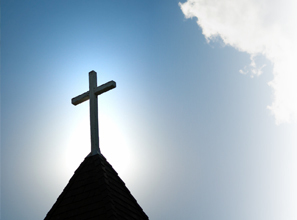 Can and do Christians today oppose the work of God? How? That’s a loaded question but before continuing, let’s take a look at the “jealousy” of the Thessalonian Jews. Now when they had traveled through Amphipolis and Apollonia, they came to Thessalonica, where there was a synagogue of the Jews. And according to Paul’s custom, he went to them, and for three Sabbaths reasoned with them from the Scriptures, explaining and giving evidence that the Christ had to suffer and rise again from the dead, and saying, “This Jesus whom I am proclaiming to you is the Christ.” And some of them were persuaded and joined Paul and Silas, along with a large number of the God-fearing Greeks and a number of the leading women. But the Jews, becoming jealous (emph. mine) and taking along some wicked men from the market place, formed a mob and set the city in an uproar; and attacking the house of Jason, they were seeking to bring them out to the people. The question is, why did “the Jews” become jealous in the first place? Jealous of what? I remember the question was covered by First Fruits of Zion (FFOZ) author and scholar D. Thomas Lancaster in the Torah Club series, Volume 6: Chronicles of the Apostles. In fact, this type of jealousy was first observed by Paul in the synagogue in Pisidian Antioch (Acts 13) when he was evicted, not because of his declaration that Yeshua was Moshiach, but because his sermon on one Shabbat brought a huge number of pagan Gentiles into shul on the following Shabbat. The Jewish leadership was “jealous,” not because Paul brought in record numbers of people, but because record numbers of pagan Gentiles were invading their religious space…all because of Paul and his “inclusive” teachings. … who both killed the Lord Jesus and the prophets, and drove us out. They are not pleasing to God, but hostile to all men, hindering us from speaking to the Gentiles (emph. mine) so that they may be saved; with the result that they always fill up the measure of their sins. But wrath has come upon them to the utmost. We see in Acts 17:2 that Paul had been preaching in the Thessalonian synagogue for three Shabbats, so it couldn’t have been that his message about Messiah was immediately offensive. We do see that some of the Jewish people were persuaded along with “a large number of the God-fearing Greeks and a number of the leading women” (Acts 17:4). That in and of itself might have been the problem if the “God-fearing Greeks” and “leading (Greek) women” were bringing in large numbers of their friends, relatives, and business associates who regularly patronized pagan temples. The Jewish leadership of the synagogue probably felt threatened and outraged and finally (and wrongly) staged a violent upheaval to attack Jason, who had been hosting Paul and his party, forcing Paul and his companions to flee into the night. 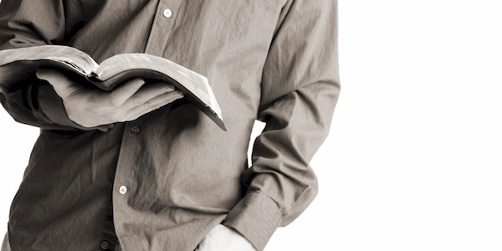 I thought about answering the question, “Can and do Christians today oppose the work of God? How?” but I didn’t think it would go over very well. The class ended up answering that question by talking about Strange Fire and got into how Christian apathy is a big problem, how we gave up “school prayer” but the Muslims haven’t caved in as we did, and so on. I did actually learn something though. If the Thessalonian synagogue leaders became jealous because of the vast number of pagan Greeks Paul attracted into their space, why didn’t this happen in the Berean synagogue? Paul’s message was the same and neither group objected to a visiting Rabbi sharing his theological opinion about Moshiach (even if they didn’t agree necessarily) so the issue could have been Gentile inclusion. Now these were more noble-minded than those in Thessalonica, for they received the word with great eagerness, examining the Scriptures daily to see whether these things were so. Therefore many of them believed, along with a number of prominent Greek women and men. In both examples, we see a population of Jews along with Greek men and prominent Greek women, so it looks like the base population of both synagogues is very similar (to the best of our ability to discern given the brevity of detail). I learned that Berea was off the beaten path, so to speak, which was probably a good place to hide out from the Thessalonians, some forty or fifty miles away from the scene of Paul’s previous troubles. There could have been something different about the general population of Berea. Maybe not as many pagan Greeks were attracted to the message of the Jewish Messiah King. Maybe the Jews in Berea had a better relationship with or at least didn’t mind the general non-Jewish people of their small town so much. Maybe being more “noble-minded” means that these Jews were more accepting of Gentile inclusion in a Jewish religious space, especially since they diligently searched the Tanakh (Old Testament scriptures) and possibly discovered scriptural evidence supporting such inclusiveness. I had never considered any of that before, so I’m indebted to today’s Sunday School class for inspiring these thoughts. I know a large part of Boaz Michael’s book Tent of David is the message of healing relationships between more “Hebraically-minded” Christians like me and the normative Church. Part of this process is to have folks like me me make a traditional Christian venue my “church home.” I get to see the positives of how church really does “teach Torah” and I get to share something of my pro-Judaic views on the Bible. My Sunday School class identified one of the big problems in the Church as apathy, especially with people who were raised in the Church. People take hearing and reading the Word for granted. They go with the flow. They don’t let themselves be engaged by the Bible, either in hearing or reading. They don’t kick up a fuss when the rights of Christians are surrendered by Christians who don’t want to make waves in the larger secular society (which is probably why liberal churches are popular at the moment). I agree that “going with the flow” can lead to large problems, but the “flow” I have a problem with, even among Christians who are generally pro-Jewish people and pro-Israel (but not necessarily pro-Judaism) is the difficulty in entertaining even a slight deviation from their general assumptions about “the Jews” they read about in Acts or in Paul’s epistles. If I’m going to make an impression, I have to speak up, but if I speak up too much, I’ll make the wrong impression. I kept silent for the most part in class except for a few words here and there, but I could have literally taken over class with all that was bubbling between my ears. Pastor’s Ph.D program has expository preaching as an emphasis (and I notice from this reference that the “practice originated from the Jewish tradition of the rabbi giving a ‘Dvar Torah’, explaining a passage from the Torah, during the prayer services”. Pastor encouraged us from the pulpit to engage in “expository listening” which generally means actively engaging God’s Word, allowing it to be applied and integrated into our lives, and then responding out of that application. But that probably also means generally agreeing with the rest of the people in church, sharing only very small differences of opinion. I really wanted to ask what the Thessalonians were jealous of in Sunday School class, but I knew if I did, it wouldn’t end well. I’m grateful for what I did learn in class today but unfortunately, as much as I like and admire the teacher (and he is a wonderful person and even a tzaddik), it wasn’t what he was actually teaching. 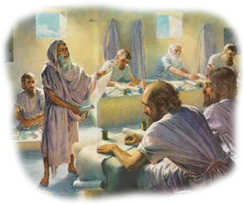 Addendum, 12-9-2013, Monday: I just read a blog post at a place called AncientBible.net called Paul Was Too Jewish for the Synagogue, Part 1 written by Derek Leman. It makes several points that speak to this particular “meditation” of mine, so I thought I’d include it here. I don’t think of myself as a “saint,” Drake. Much of the time, I do learn many things and have good interactions with the folks there, but every once in a while, something happens to put me off a bit. All I’d like is for some people around me at church to have a little “enlightenment” every now and then. Hopefully, it will lead to something more. James, things are a bit different in my situation. I think they go out of their way to be kind and not offend me, and I think that as mostly Japanese, they have a different outlook than the typical American Christian. Plus, they are more educated and intelligent. Okay, I am somewhat of an elitist, but I don’t have a lot of respect for people who don’t bother to think, question, or evaluate their own assumptions. The whining of, “Christian privilege,” gets annoying. So, they get a taste of the medicine they supplied to the Jews who were forced to sit through prayers and bible reading in class that they didn’t believe in, meanwhile, being mistreated by the teachers and students praying the prayers. So, now they are facing discrimination and being force to conform to things they don’t adhere to. Since I don’t know Greek, I would just assume there was a reason the word jealousy was used rather than, “threatened.” Was it that Paul was gaining so many gentile converts? Did the synagogues also prize gentile converts? Did Paul steal some of their market; gentiles who might have approached the synagogue with a desire to convert, but found Paul’s message more attractive? Interesting JM mentioned that Africa had been taken over by Pentecostals. That would be jealousy. The Catholic Church is also upset that many Hispanics in the US have turned away from the Catholic Church towards more emotional and lively Spanish-speaking Pentecostal churches. Chaya, it’s my understanding that the various Judaisms of Paul’s day wouldn’t be jealous because Paul could draw a big crowd. Also Gentiles did convert to Judaism in that day, unlike the modern Christian church, they didn’t depend on “saving souls” to add to their congregation size. I don’t know Greek either but I think there are implications from the word being translated as “jealous” that we can’t see in English. 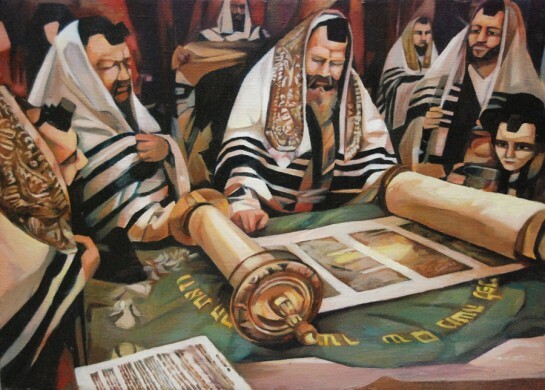 For me, the bottom line is that the majority of Jews Paul engaged weren’t rejecting Paul because they didn’t think it was credible that Jesus could be the Messiah (the way most Jewish people would consider the matter today), they rejected Paul (and thus the Messiah) because of the inclusion of Gentiles who were involved or had just recently been involved in paganism. I think they were jealous of their space (as God is a “jealous” God) and wanted to keep control. The God-fearers were on board, but a bunch of rowdy pagan Gentiles? Wow. That must have been something. Well, this might explain things: http://biblehub.com/greek/2206.htm If it is referring to water reaching a boiling point so it is bubbling over…meaning, to burn with zeal, to be completely intent on, eager to possess, to be committed with desire – that changes the picture, doesn’t it? It is the same word used to describe how they were to earnestly desire spiritual gifts. It seems the complaint was: “These men who have upset the world have come here also;… So, they didn’t want the upset, the brouhaha, the conflict and chaos Paul and friends had brought elsewhere. They probably also didn’t want to draw the attention of the Roman authorities, who had left them alone as long as they didn’t create a stir? Because Paul and Silas were Jews, perhaps the authorities would blame the Jewish leadership for any problem they caused. Jealous didn’t fit for me. And if they had merely invaded the synagogue, the pagan converts could certainly have been kicked out easily. That’s why I think there is more to it. Its kind of like the “Rabbi,” Ralph Messer thing. By acting offensively, people were afraid they would be linked to him. This aroused fear which expresses itself in anger. I heard that prisons will often plant a snitch, and since the snitch benefits from passing on info, sometimes a snitch would make things up. So, the target is advised to punch the snitch publicly, so no one will believe that they developed the sort of trusting relationship that would allow one to confess to a crime. This is the same as the following: Consider a Evangelical Christian church that all of a sudden (after a couple of sermons by a guest pastor) gets flooded with Catholics. What if the main pastor of that church fears that all these Catholics will bring all their saint’s images, rosaries, etc. What do you think it would happen to the “guest pastor”? @Chaya: So “jealous” is “zealous”. I think I’ve encountered that before. @Altredo: Interesting comparison. The only difference, and it’s an important one, is that what Paul was bringing in was by the hand of God. I just read a blog post at a place called AncientBible.net called Paul Was Too Jewish for the Synagogue, Part 1 written by Derek Leman. It makes several points that speak to this particular “meditation” of mine, so I thought I’d include it here. I’ve also posted the link in the body of this post, but figured I’d add it as a comment too for those of you who are subscribed to this “meditation’s” comments. Enjoy. @James, if you could recommend one book for a seminary educated pastor about the Paul issue, which would you choose? Nanos? I suppose some aren’t aware that gentiles attended the synagogue. Greeks loved knowledge, so, I would guess that citizens sought out the wisdom of the Jews in the same way that they sought the talented Greek orators. I would also make the assumption that these gentiles varied in their understanding and commitment. It would make sense that as long as the gentiles didn’t seek conversion, the Jewish leadership didn’t care what they did. They didn’t want to stir things up with the authorities. Now, his statement about circumcision is inaccurate, as the Greeks weren’t afraid of the pain of circumcision, but viewed any alteration of the male body, considered the epitome of perfection (they didn’t view women’s bodies this way) as abhorrent. I wouldn’t be surprised if a circumcised male would find himself excluded from Greek society in the same way that an uncircumcised Jewish male would, and they didn’t want to take that step. The Greeks needed to partake of wine and meats sacrificed to pagan gods as part of their professional and social life, and to refuse to do this would incur economic and social abandonment, which most of these Greeks weren’t prepared to endure. Perhaps Paul let them know that they couldn’t continue to sit on the fence. At this stage of my own reading, it would probably be Nanos, but I know there are other NT scholars who are also making their mark. I just haven’t gotten around to reading their books yet. Perhaps Paul let them know that they couldn’t continue to sit on the fence. I think that’s part of what Derek took away from the conference session. I’ll be writing more on that Thursday.